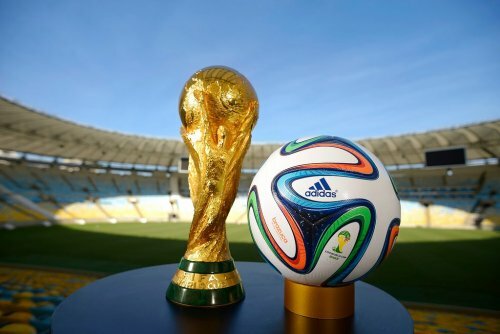 Could Africa Host The 2030 World Cup? It was a blow to African football fans this past summer when North America won its bid to host the 2026 World Cup. The event will take place primarily in the United States, but will also have matches hosted in Mexico and Canada, making for a vast spread and a great deal of variety among host cities. This seems to be fitting given that 2026 will mark the first time the tournament expands to 48 teams. Hosting more teams requires a bit more space, at least in theory, and there is some logic to the idea of putting the Cup in a part of the world with countless tournament-ready stadiums and a reliable infrastructure. Nevertheless, with Morocco the other finalist for 2026, the decision naturally disappointed anyone who would have liked to see the Cup return to Africa, where it was last held in 2010 (in South Africa). Now, these same people will have to wait at least 12 years, with 2030 marking the next World Cup that doesn’t yet have a home. Over the next couple of years, we’ll likely start to see a picture painted of the frontrunners for this event. Football inspires endless speculation and debate on matters such as these, and in the modern sport, with technology moving faster than ever, betting markets too are constantly updated and refined. That means that when we start to see regular odds listings for 2030 - and rest assured, the Cup will have its own betting market - we can likely trust them as a fairly reliable indicator of which bid is in the lead. For now however, it’s still a little bit early for that, and we’re left more with speculation. So far as we know at this point, there are three serious prospective bids for the 2030 World Cup. One is from England, and by the sound of things Ireland would be a joint host. This essentially means we’d be in for a British Isles World Cup, presumably with England and Ireland qualifying automatically as hosts - and potentially Wales and Scotland as well. It would be an appealing bid, particularly after London did such a memorable job of hosting the Olympics in 2012, and also given that England - one of the top countries in the world as far as pure football adoration goes - last hosted way back in 1966. On the other hand, it’s a little bit difficult to imagine FIFA awarding a second consecutive Cup to a predominantly caucasian Western nation, after the North American tournament in 2026. Another bid will come from Uruguay, Argentina, and Paraguay. This is already being viewed as a particularly formidable bid, to the point that some British publications have suggested it may be impossible to beat for the English/Irish bid. The main reason for the perceived strength of the bid is that 2030 will mark 100 years exactly since the first World Cup, which happens to have been held in Uruguay. There’s a lot of poetry there that the FIFA committee may find it hard to ignore, particularly given the sporting and diplomatic clout of the three nations in question. Argentina and Uruguay in particular are legitimate powerhouses on the world stage, and while the Cup certainly doesn’t have to go to a such a nation (as proven in South Africa, Russia, and Qatar), there’s always an allure to the idea. And then there’s the African bid, which at this point appears to be getting the least attention of the three. The bid will come from Morocco again, though this time it will be aided by Tunisia and Algeria for what would effectively be a North African World Cup. There’s a nice balance to the idea as it would be exactly 20 years after South Africa hosted, and there is sometimes a feeling that a nation that misses out in one year deserves another chance soon thereafter. It’s certainly not a bid to be overlooked. Again, at this point there seems to be a bit more chatter about the other bids, and the South American one in particular. But Africa, and specifically Algeria, Morocco, and Tunisia, will have a shot at it.